All FROSTWOOD VILLAS homes currently listed for sale in Park City as of 04/18/2019 are shown below. You can change the search criteria at any time by pressing the 'Change Search' button below. "Located on the edge of Canyons Village this quiet location provides easy access to everything that makes Park City one of the best ski towns in America. Frostwood Villas are walking distance to Park City Resort's Frostwood Gondola for quick access to the slopes and are adjacent to the 10th Fairway at the Canyons Golf Course. This extraordinary property is minutes to historic Main Street and about 35 minutes to Salt Lake International Airport. 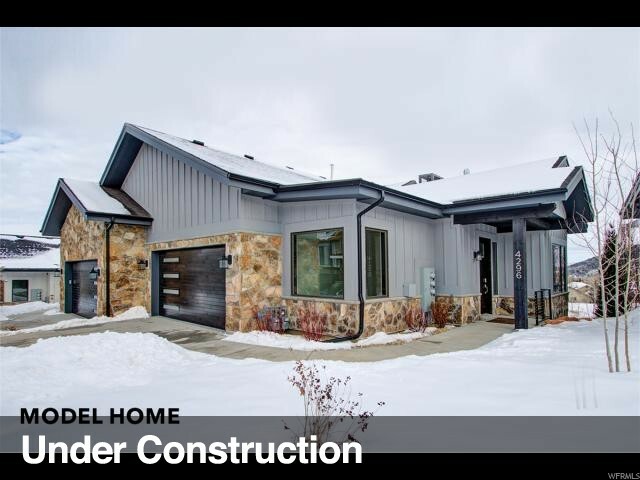 Visit our model home to see if the quality construction and mountain modern design is right for you. MODEL OPEN DAILY from Noon to 4:00 PM Buyer to confirm all listing information including square footage Frostwood Villas are a Planned Unit Development (PUD) this designation may offer purchasers advantageous financing terms. "